I confess, I’m much more comfortable with train travel than driving a car. I realize that this form of transportation is everyday routine for most Europeans but for this woman from the “land of many giants” (big cars on big freeways with big attitudes), there’s something old world and bourgeois about getting from A to B with little or no stress. And it just fits with my new mantra of “slow down and enjoy the ride, food, conversation…life.” No traffic jams, no steering-wheel- gripping close calls, no GPS snafus, and no juggling coffee cups with a cell phone. And although usually not cheaper, it’s significantly better than taking a flight. No arriving two hours before departure only to stand in long and frustrating security lines and risk the delayed or cancelled flight that requires you to stay the night scrunched up in an airport chair obviously not designed for overnight sleepovers. But I can’t argue with the flexibility and convenience of jumping in your car especially when driving to an out of the way location. We found this to be true of Tuscany years ago, and The Rioja wine region in northern Spain is no different. I deferred the driving of the rental car through the confusing streetscape and racing Autobahn to Richard and happily settled into the passenger seat with GPS and multiple maps on my lap. 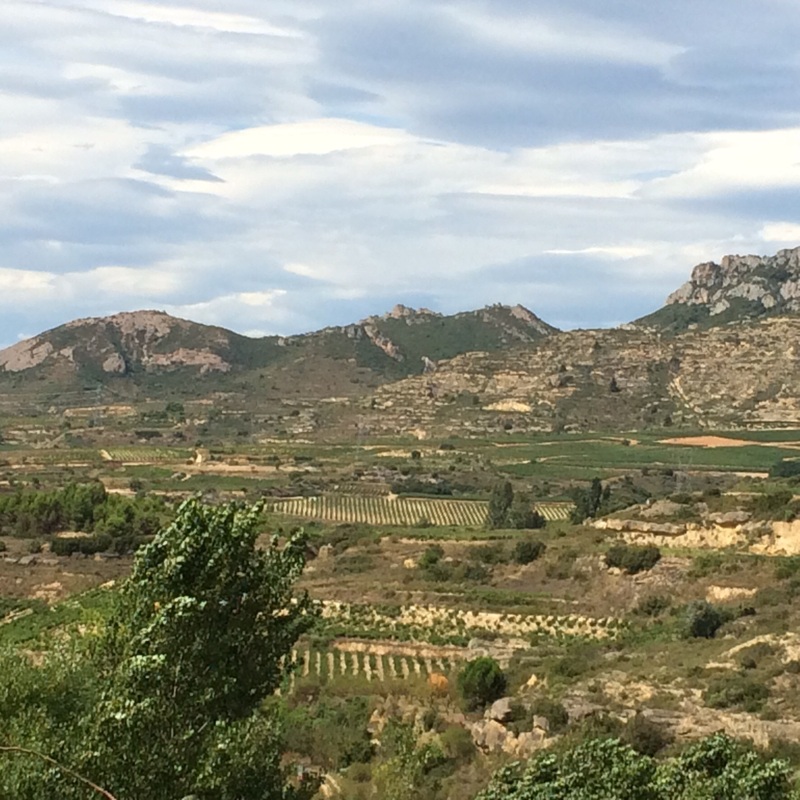 There are literally hundreds of bodegas (wineries) in Rioja and although the landscape is drier than Sonoma or Napa valleys, each hill and curve opens to a picturesque scene of rolling vineyards and stone wineries that look to be hundreds of years old. The Rioja region produces its most famous red wine. It has distinguisable bright, berry notes with hints of vanilla and sweet spices due to the fact that it is aged in new oak (preferably American oak.) The flavor can best be described as somewhere in between a cab and a lighter chianti. 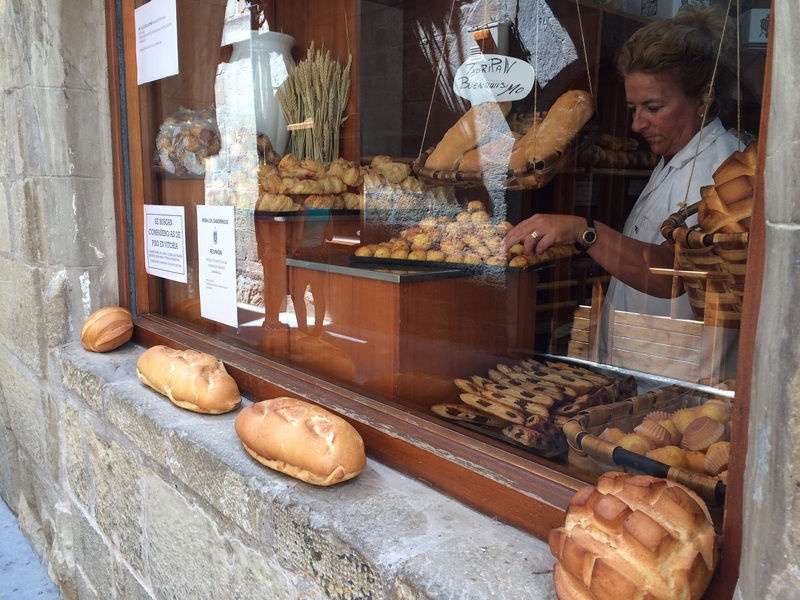 We chose the fortress topped wine town of Laguardia to sample our Rioja and snoop around through the tiny pedestrian-only streets. 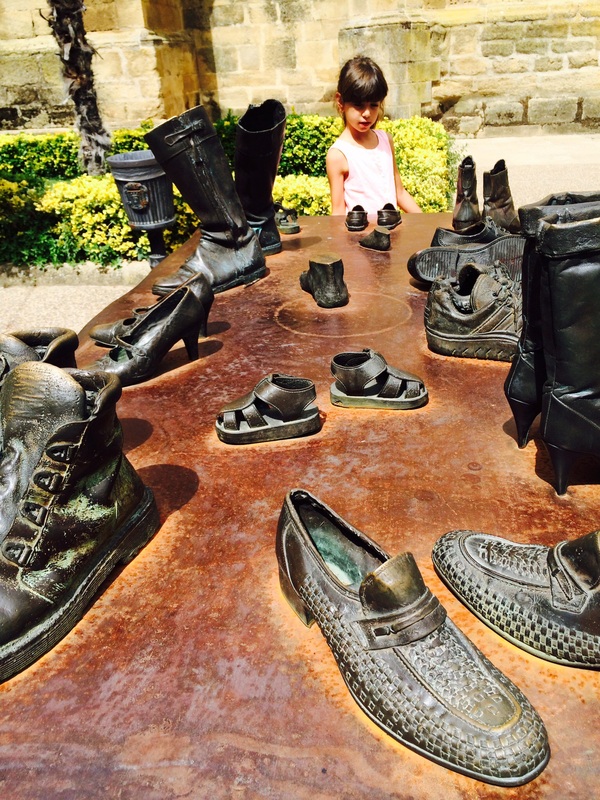 It didn’t take us long to figure out that this was also a popular stop for many tourists but we enjoyed our picnic on a stone bench by the church where we found an interesting display of bronze sculpture in the courtyard. Shoes, anyone? Bronze is the new black. 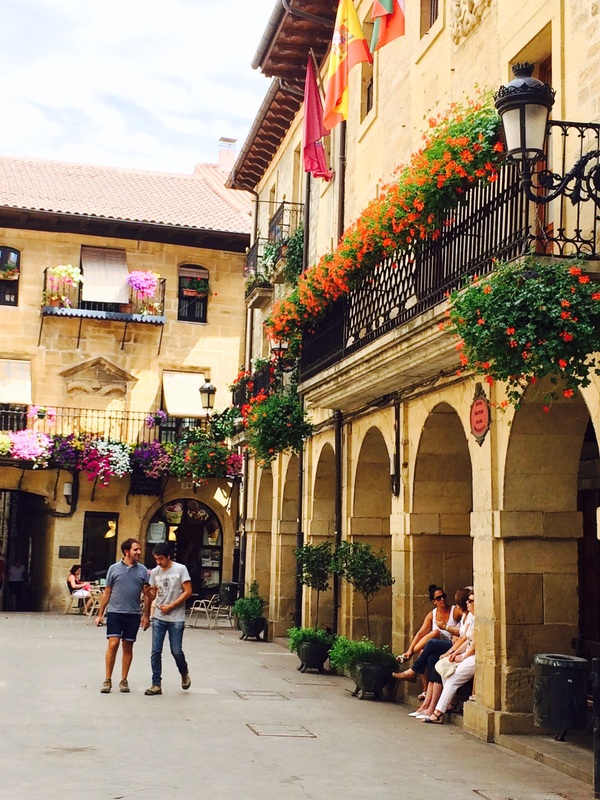 A relaxing day in Rioja wine country was the perfect precursor to what awaited us up north in the Spanish Basque country. 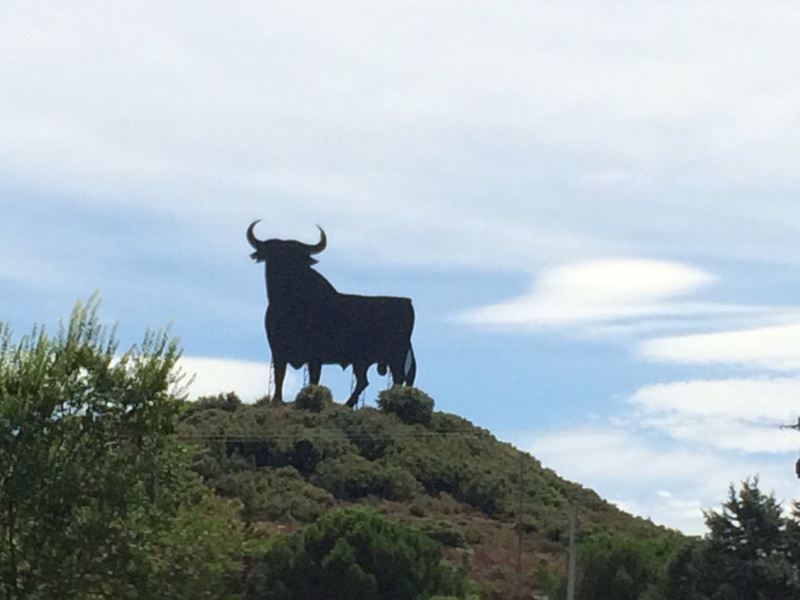 Because of confusing directions and fast moving traffic, we somehow ended up in France, but we eventually made it to our destination just south of the French border- San Sebastian, Spain.